There is still time to weed and feed the lawn if you need to clear weeds. Otherwise apply a feed or slow release fertiliser to provide nutrients over a longer period, applied early in the month. Stick to the manufacturer’s instructions, don’t be tempted to add extra or you can cause scorching. It’s worth investing in a spreader to ensure the right quantity is applied. Remember if you use granular or powdered lawn feed and it hasn’t rained after you apply it you need to water in to avoid scorching. Follow instruction as well regarding mowing – you may need a few days before the grass can be cut. Remove worm casts before mowing. Reduce the height of the blades progressively with each cut. The grass will be growing vigorously and will need more frequent cuts. Keep the edges trimmed with a powered trimmer or edger or lawn edging shears. 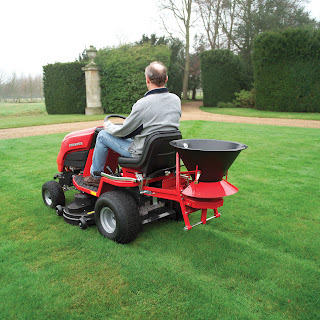 Are there any particular lawn weedkillers you can recommend to use at home? The Lawn Care Guide is a nice article about weed controlling. Your article is very informative. Proper knowledge is must for controlling weeds in lawn. Thanks for describing those facts properly.